Oracles is a Folk music album for those who usually shy away from the genre. 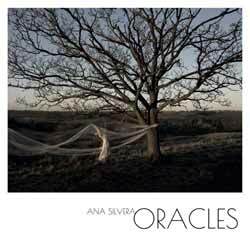 Ana Silvera's silver voice glides through these 7 songs (38 min, 18 sec) taking the listener on an emotional journey. The songs were written as a response to losing two close members of her family very suddenly. The lyrics tackle grieving, understanding and acceptance through folk legends. It's a beautiful, not to mention emotional, collection which works best when played from start to finish as presented. The tracks get richer the further through the album you make it. Oracles is a rich, incredibly powerful album which leaves you want to hear more.